A view north in Saligo Bay on a beautiful sunny June day on Islay. A wave breaking at an interestingly shaped smoothed rock. 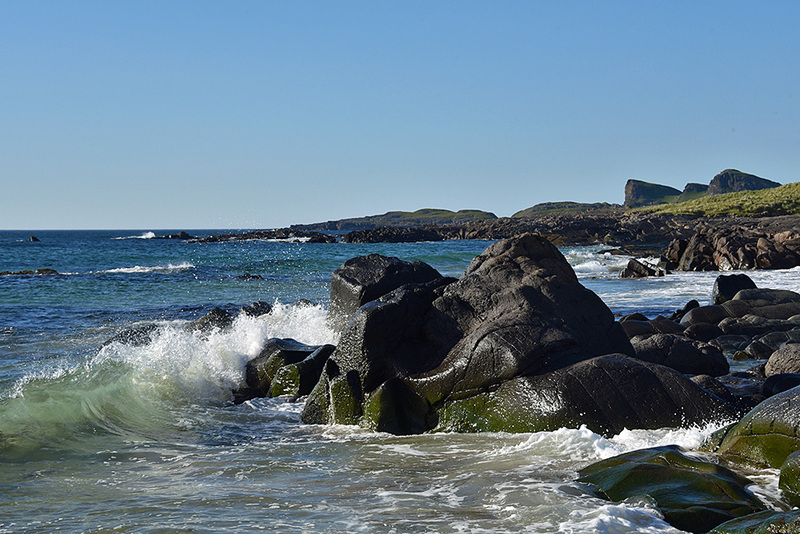 This entry was posted in Beaches, Landscape, New Post, Sunny Weather and tagged Islay, Opera House Rocks / Sleeping Giant, Rhinns of Islay, Saligo, Saligo Bay by Armin Grewe. Bookmark the permalink.